We had the honor to be selected as a creative branding agency to help mold the new corporate identity for the legendary Hollywood Studio, Grant McCune Design. The client needed a logo that effectively communicated their new redesign of their business. After much research we determined that the legacy left by Mr. Grant McCune was a tremendously huge asset for the firm. We searched for a way to honor his legacy in the new logo for McCune Design. 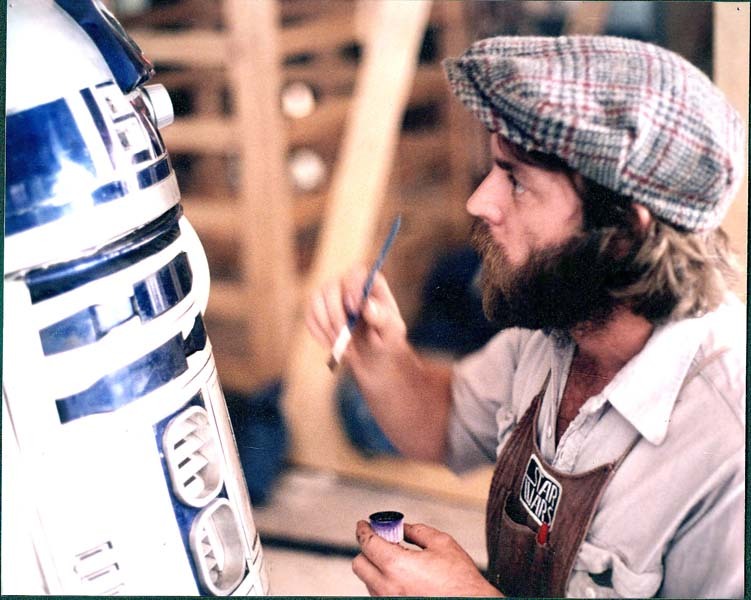 We selected a famous photo of Mr. McCune working on painting a famous Star Wars character. We used this image to craft the new brand identity direction for McCune Design. The illustration shown here is a first draft run at the creative direction for the new logo making use of Mr. Grant McCune’s likeness. Services Provided: Logo and branding strategy, brand value research, market research to assess where McCune stood in relation to the market conditions and competitors.